These are the Gauteng suburbs that experts predict to be future property hotspots. If you were wise enough to invest in property in an area like Braamfontein, Bryanston, Sea Point or Observatory in the Cape a few years ago you would have plenty of reason to smile right now. Not only have most of these suburbs shown significant property price growth, but they are also going from strength to strength and your investment is probably becoming more sought after by the minute. Many people reading this article are probably wishing that they had invested in these suburbs a decade ago, because not only were they still relatively affordable back then, but buyers could also pick and choose with regard to the property type and location that appealed to them. According to Lightstone the average price for a sectional title unit in Braamfontein in 2007 was R365 000, while it is R480 000 today. Although the price escalation is only 23% at this stage, the gentrification of this area is an ongoing success and Braamfontein is fast becoming a hot spot where penthouses of up to R4 million are now selling to creatives and young professionals. Bryanston is known as one of the most affluent suburbs in Sandton where the average sectional title property would cost you R1.2 million and the average freehold property R4.5 million in 2016, but in 2007 you could pick up sectional title for only R830 000 and freehold for just short of R3 million. Property prices here will continue to climb as living in or close to Sandton is an ideal for many and there seems to be no end to the commercial expansion and new employment opportunities arising in the area. In Cape Town, Sea Point in particular has seen notable capital value accumulation over the last few years on the back of rising prices in the neighbouring suburbs. The average selling prices on the Atlantic Seaboard have tripled over ten years and values are up by a significant 67% over the last five years. In Observatory in Cape Town sectional title prices have more than doubled from R568 000 in 2007 to R1 258 million in 2017, as is the case with freehold from R892 000 in 2007 to R2 288 million today. Of course, various property experts predicted the success of these suburbs years ago and that is why Seeff decided to ask several of their principals across Gauteng which suburbs they predict will become the future property hot spots. David Ingle, Principal of Seeff Edenvale & Bedfordview says that Linbro Park in Sandton and Modderfontein around the planned Gautrein station will without a doubt be some of the hottest investment property in Gauteng over the next ten years. “These areas will present opportunities in the residential space with cluster homes, sectional title apartments and high rise apartments eventually on offer as well. In addition to the residential opportunities, there will also be numerous commercial, retail and office development opportunities. Ingle concludes that he believes Linbro Park and Modderfontein, with their unrivalled location in the heart of Gauteng, to be two of the top five investment destinations in this province going forward. Charles Vining, Seeff’s Principal in Sandton, lists Parkmore and Kyalami as two of the best areas to invest in. “Parkmore is on the doorstep of Sandton and is popular with young families who may be working in the Sandton CBD. It has a park-life appeal and it’s fast attracting trendy foodies to the local restaurants and coffee spots. Local security companies have worked hard to maintain a secure environment that appeals to family and the local sports club has had several upgrades recently. This deliberate suburb upliftment will result in steady price growth over the next few years and in ten years, we’ll all be sorry we didn’t invest in Parkmore. As one of Midrand’s southernmost neighbourhoods, Kyalami is a suburb with a plethora of property options including new sectional title suburbs, older agricultural holdings, comfortable clusters and family homes and more exclusive homes in the secure Kyalami Estate. “The racetrack has always been a significant attraction, but now that the Mall of Africa has opened up just down the road, there’s more reason to want to be in the neighbourhood. Large corporations are ahead of this already, having built mega-offices in the area and others begin breaking ground soon. As these corporate head offices open, the attraction of living nearby in a suburb full of choices will drive prices up and in ten years an investment here will pay off handsomely”. Chris Hajec, Seeff’s Principal in Randburg, says there are very few residential suburbs left in Randburg in which full title properties are poised to enter a stage of significant gentrification. 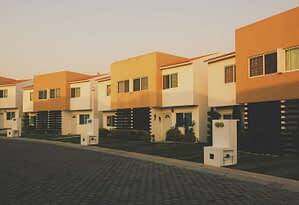 “First time home buyers are increasingly hard pressed to find entry level price points available for full title homes for R900 000 to R1 million and therein lies the potential for a disproportionate rise in appreciation in the last holdout suburbs left in that price range and one where the average homebuyer will be glad they invested in Randburg ten years from now. 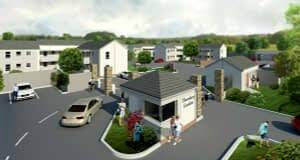 When looking for that rapid appreciation that comes during a bout of gentrification, the next logical areas of Randburg to undergo such a transformation are the last predominantly full title areas left at R1.1 million and below: Sophiatown and Albertsville, both only a stone’s throw from Westdene. These suburbs are predominantly characterised by full title, single family dwellings which hold a significant appeal to a large number of residential home buyers. Currently, Sophiatown, with its vibrant culture and close knit community is extremely accessible to first time home buyers with an average price tag of around R843 000 for a full title property. Although currently considered to be an area of higher than average crime rates and a lower than average household income, there is no denying that Sophiatown offers charming properties well situated for people who commute to work in other locations throughout Randburg. There is also excellent proximity to Wits and Johannesburg University, as evidenced by the high levels of student accommodation conversions which have been done in the area. 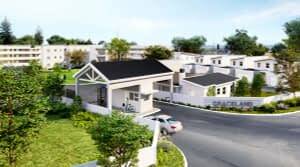 Albertsville has many similarities to Sophiatown and is increasing in popularity due to its affordability and the growing desirability of its neighbour to the north, Greymont as well as the established, sought after bohemian enclave of Melville to the south. Greymont has an eclectic mix of a long time established residents and younger, often ‘hipster’ purchasers; a clear indication that gentrification is percolating. When you have two neighbours side by side that seem wholly inconsistent (established residents versus new entrants) or every other property on a street undergoing renovations, you know there is gentrification brewing. Sales prices over the last five years in Albertsville, Greymont and Sophiatown have not appreciated at the same steep incline as neighbouring “Meldene,” and thus are ripe for a gentrification phenomenon which will at a point five to ten years from now have investors and home buyers smiling at the above market appreciation they have achieved”. Duane Butler, Seeff’s Regional Manager for the Northern Division says Brackenhurst and Brackendowns, two suburbs of Alberton, offer great value for money with an average selling price of around R1.5 million at the moment. 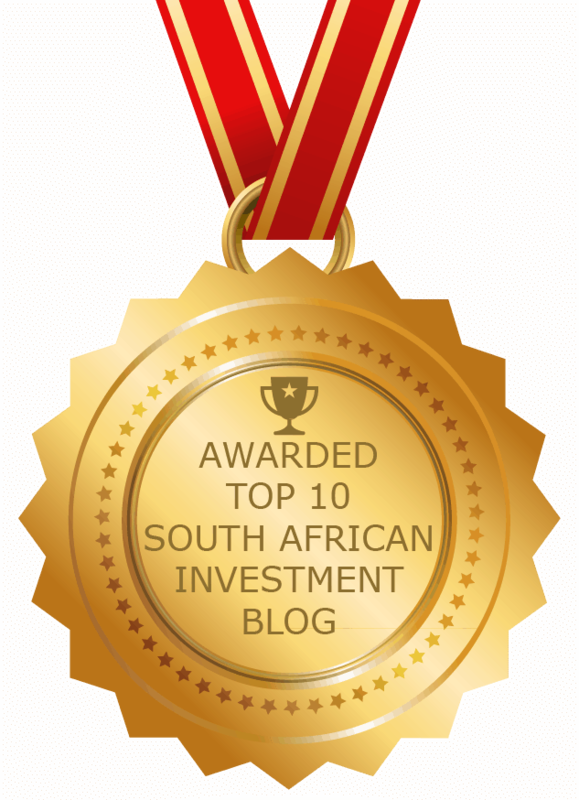 “This average selling price was R900 000 ten years ago and I believe it will be around R2 million ten years from now”. Butler adds that suburbs close to Soweto like Naturena, Meredale, Ridgeway and Mondeor will also experience good overall growth in ten years as supply and demand will push the average selling prices up. 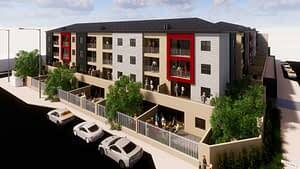 All of these suburbs are well located, close to the CBD and have good roads and transport infrastructures”. Steve van Wyk, Seeff’s Principal in Centurion says that you can’t go wrong with property investment in the fairly new areas of Highveld and Rooihuiskraal North. Gerhard van der Linde, Seeff’s Principal in PTA East, says suburbs in the far east of Pretoria like Hazeldean, Silver Lakes and Lombardy are expanding rapidly and are seeing many new access routes and schools, while medical facilities, a shopping mall, office parks, a commercial district, tourism buildings, hospitality and lifestyle living are predicted too. Van der Linde says reasons to invest in the far east of Pretoria include amongst others the new R44B City Development, dubbed “The East Capital” with access from the N4, the new road known as Hazeldean Road which will link The N4 to the R21, a Gautrain station at the new development and easier access to OR Tambo.